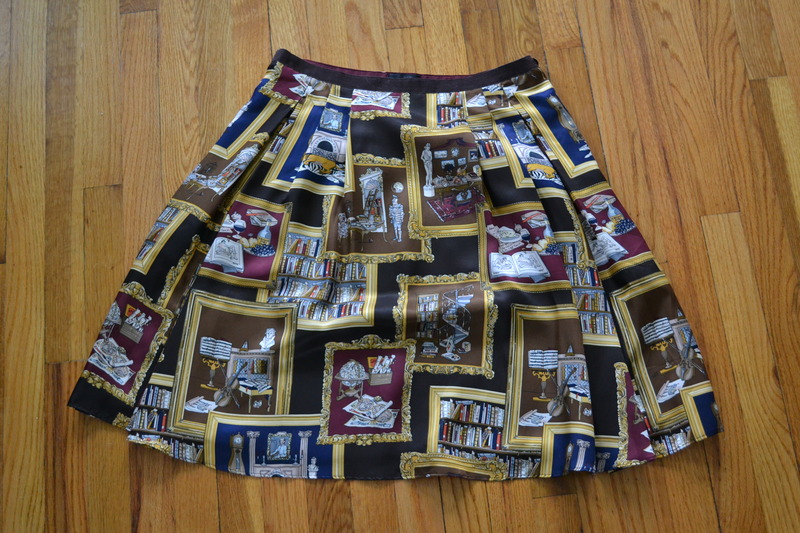 Library Print Silk Skirt—what could be more perfect for a graduate student in literary studies? I want to wear this skirt like this—and I want to wear it in Paris. I have a green coat exactly like the one above (also an ebay find), but now I kind of wish that I had a red one, too. It’s actually getting warm enough here to contemplate wearing skirts again (which is very exciting indeed! ).